Middle school (grades 6-8) is offered on the Lancaster, Locust Grove and Hershey campuses, providing a gradual transition into high school. 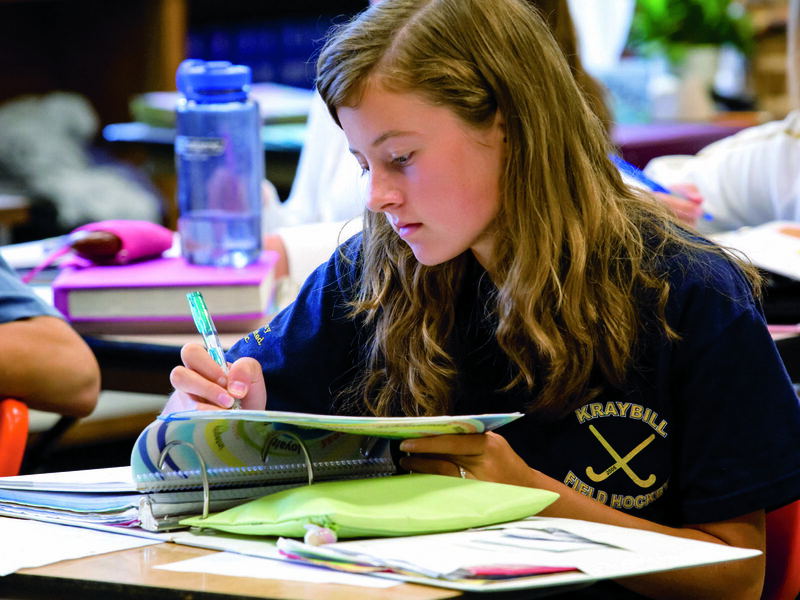 In addition to excellent academic, athletic and social opportunities, all LM middle school students experience spiritual formation as they study the Bible, participate in devotions and attend chapel. The middle school program differs among the campuses. See the campus sections of the website for specifics. At the Lancaster Campus, Lancaster Mennonite Middle School offers LMMSConnect! a project-based learning approach (see below). At the Lancaster Campus, the LMMSConnect! Program for grades 7 and 8 is an interdisciplinary approach that engages students in project-based learning (PBL) for core subjects. Quarters are divided into themes connected to larger essential questions and real world events, and all subjects are incorporated around this central theme. When traditionally independent disciplines are fused, students are engaged in relevant, vibrant and experiential learning that empowers them to make connections across disciplines and in the real world. Authentic “learning by doing” allows students to experience how their academic endeavors, when partnered with collaboration, can have a positive impact on the community and their world. LMMSConnect! & What is Project-Based Learning? Visit each of our three middle school campuses!